This week we have science activities and resources for learning more about dragonflies and damselflies, Order Odonata. 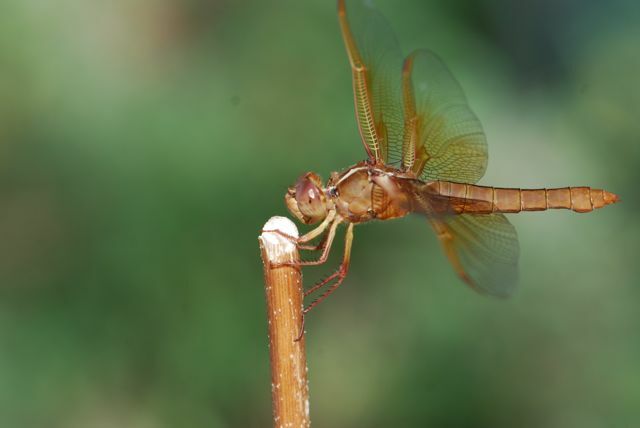 Dragonflies are the large, showy insects seen around ponds and other bodies of water. They have large eyes, which often take up most of their head. When they land on a plant or other object, they hold their wings straight out. 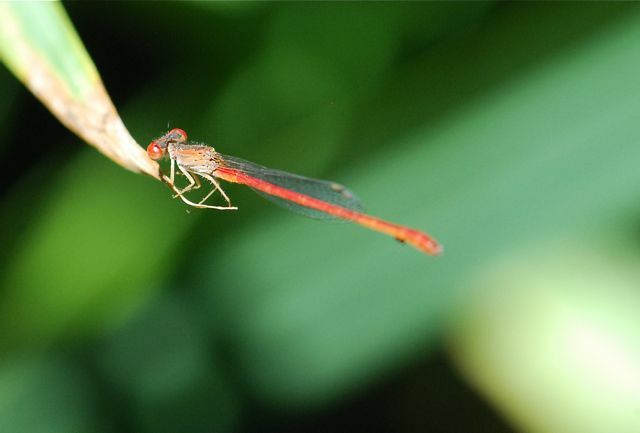 Dragonflies and damselflies often are bright colors, such as red, green and bright blue. In addition, the colors of many dragonflies change as they get older. They can be just as colorful and fun to watch as birds or butterflies. Activity: Make models of adult dragonflies and damselflies. Either gather photographs and illustrations of dragonflies and damselflies. Use these to draw the adults, or make models. Pay attention to their anatomy. For example, the legs and wings are attached to the thorax. Damselflies have smaller eyes than dragonflies. The wings have numerous veins that give them a net-like appearance. 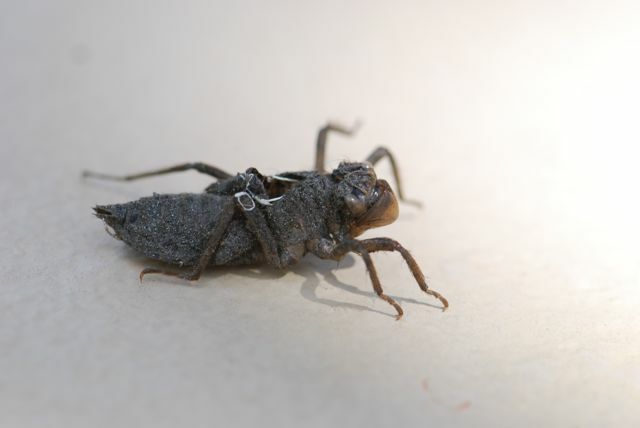 The legs have spines and are used to scoop up prey in midair. See our Dragonfly crafts for kids Pinterest board for more ideas and resources (click on title to go to board, or individual pins to go to that link). Follow Roberta's board Dragonfly crafts for kids on Pinterest. Dragonflies and damselflies have incomplete metamorphosis, similar to grasshoppers and crickets from last week. The main difference is the adults look quite different from the nymphs. The adult female dragonflies and damselflies lay their eggs in the water, or on plants or debris in or near the water. Female dragonfly laying her eggs in the water. The eggs hatch into nymphs (sometimes also called naiads). 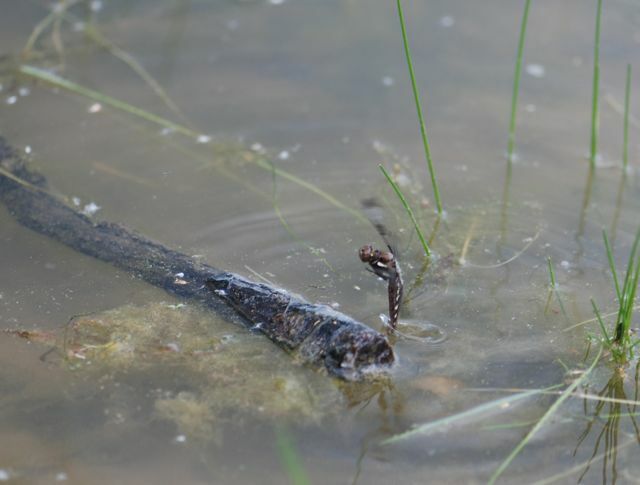 Dragonfly nymphs live under water where they prey on other organisms. Dragonfly nymphs have "masks" at the bottom of their heads. The special lower lips (labium-singular or labia -plural) shoot forward to capture or scoop up prey. The labia are also used to hold prey in place while feeding. In this video of a live dragonfly nymph catching food, look for both uses of the labium. When they are mature, the nymphs crawl to the surface, sometimes onto a plant or even onto land, before emerging as adults. The white lines in the photograph above are the remnants or linings of the breathing tubes (tracheae) that pull out as the adult dragonfly emerges. The adult will produce new tracheae. Go to a local pond or wetland when dragonflies and damselflies are active and search for shed exoskeletons along the shore and in emergent vegetation. If allowed, take an aquatic sweep net or dip net, and search for nymphs in the water. 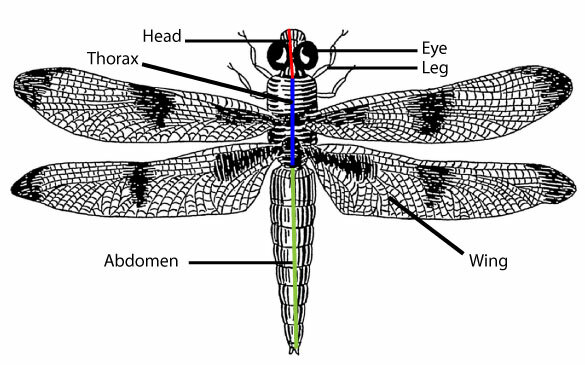 Investigate, and then draw and label the life cycle of dragonflies and damselflies. KidZone has a dragonfly life cycle diagram to print out. Education.com also has a nice diagram that is free to download, but you have to register/sign in for access. One of the first things you notice about dragonflies or damselflies is their strong ability to fly. They have four wings, and can move the fore and hind wings independently. In this video clip you can see a dragonfly's amazing flight slowed down. Often dragonflies are searching for food when they are flying. They catch other flying insects, such as mosquitoes, while on the wing. In fact, one common name for a dragonfly is "mosquito hawk." Male dragonflies and damselflies may also fly to look for females or to chase away others from their territories. Perching is another common behavior. Dragonflies and damselflies often rest on a plant or similar object looking for prey to fly by. An adult may return again and again to the same perch. The Dragonfly Woman blog by Christine Goforth has a good deal of information about dragonfly swarming. Do dragonflies occur where you live? Have you ever seen a dragonfly swarm? For a citizen science project, check out Dragonfly Swarm Project where you can report swarm sightings. Dragonflies of North America: A Color and Learn Book With Activities by Kathy Biggs and Tim Manolis (Illustrator) is not your average coloring book. First of all, the author has written two field guides to dragonflies, as well as maintains a website about the dragonflies of California. You can tell by the quality of the text that she has a great understanding of, as well as passion for, dragonflies. Did you know that dragonflies often perch with only four legs, and use their front legs to wipe their eyes like windshield wipers? 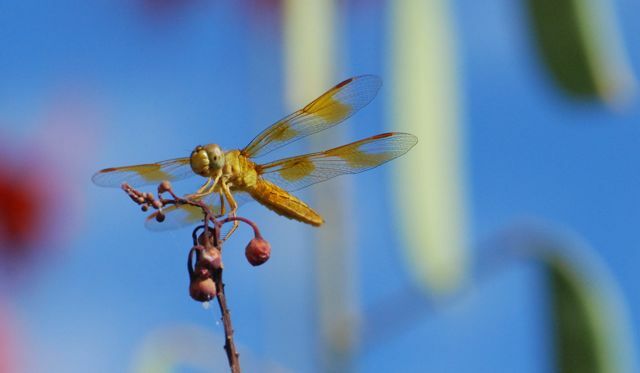 Dragonflies of North America covers the basics nicely, such as the differences between dragonflies and damselflies, and the dragonfly life cycle. Then the author presents the characteristics of a number of different kinds of dragonflies, with enough detail so you could actually distinguish one from another. Although written for children, this is one of those books that is also perfect for the interested adult beginner. Are You a Dragonfly? 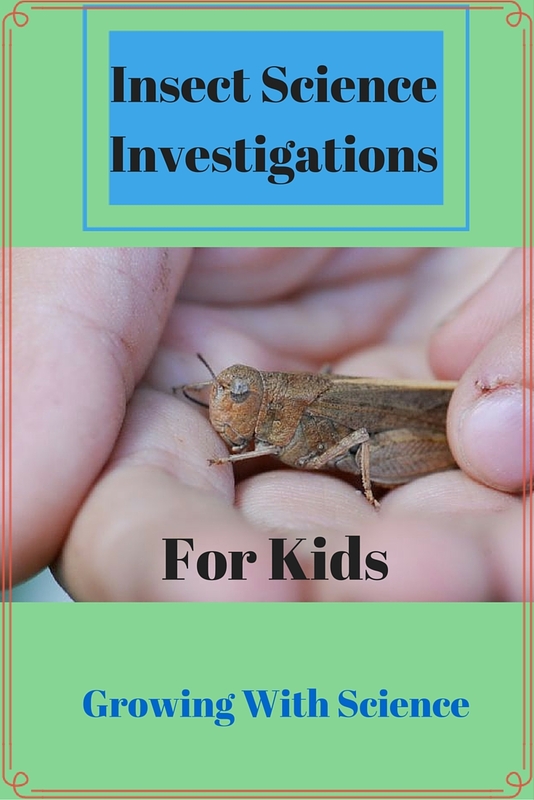 (Backyard Books) by Judy Allen and Tudor Humphries is another picture book in the Are you a... series that bring young readers into the book by making direct comparisons to insects. These books are fun and full of age-appropriate information.